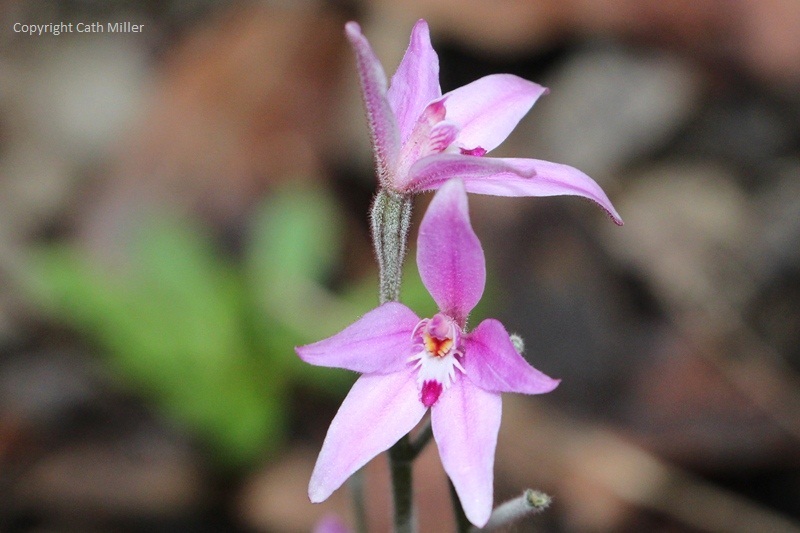 I spotted my first flash of pink in the forest today and spotted the first Pink Fairy Orchids of the year. They are the Caladenia reptans or Dwarf Pink Fairy. These have appeared about 3 weeks earlier than they have over the last couple of years. It looks like it will be a great year for the orchids, there are lots of different leaves emerging all over the place.